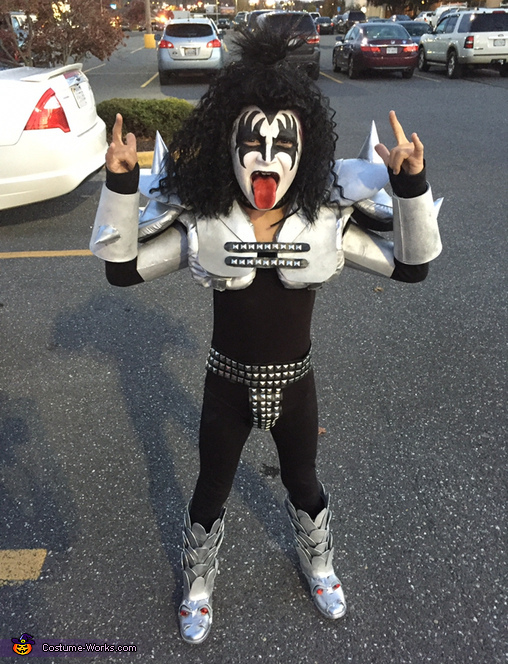 My son decided he wanted to be Gene Simmons, for Halloween because he loves KISS. An old set of football shoulder pads, coffee cups, snowcones, foam, creativity with scissors and several cans of silver spray paint, topped off with the older sisters artistic ability with make up!! Voila!! He even wore this costume to a kiss concert with his daddy, and walked away with Eric Singers drumsticks !!! $75 in materials.